NorthEast United owner, Bollywood actor John Abraham too slammed the incident and said the team stood by the fan who was "victimised". Image Source : ISL File image of a match between Chennaiyin FC and NorthEast United FC. 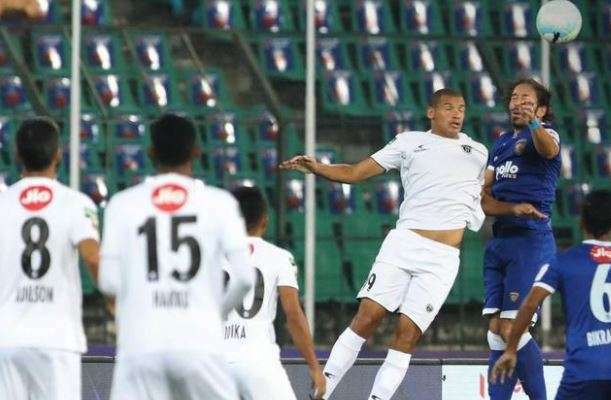 Chennaiyin FC's resounding win over NorthEast United here in their Indian Super League match was marred by the heckling and mocking of a visiting side fan by a home supporter which was strongly condemned by both the team owners. Videos of a man, who is seemingly a supporter of Chennaiyin FC, making curious gestures towards a female NEUFC supporter were posted on Twitter, which drew condemnation. Chennaiyin FC, who had emerged 3-0 victors in the match last night, has condemned the alleged "unbecoming behaviour" by a section of their fans against a group of North-East United FC fans during the ISL game at the Jawaharlal Nehru Stadium and said the club will take strong action. "Chennaiyin FC has a very strict and firm policy against racism and any unbecoming behaviour in the stadium. The club strongly condemns any such act. We are looking into any such incidents and will take strong action against it," Chennaiyin said in their official Twitter handle. "It's deeply disturbing to me when sports becomes an unsafe or unharmonious place for anyone. Everything I have taken back from the sport has been only positive, from learning to play with people who are different, learning to take loss with a sense of sportsmanship, winning with humility," Abraham said. "To the girl who was victimized by these insensitive and thoughtless people, 'we stand with you and you will never feel alone you must've felt at that moment. I will personally meet you and make sure you are OK."
"To the 'fans' who troubled her, I'll call you fake fans because I know that Abhishek or myself would never condone this behaviour from our own true fans. I will find you and make sure you are punished and apologize for your behaviour," Abraham said.